Spider-Man Release Date Coming Tomorrow | Nerd Much? Game Informer is preparing to blow the doors off of Insomniac’s upcoming Spider-Man game. The magazine and online site is touting a full month of exclusive features based upon the title. With the announcement of the game’s release date kicking off the festivities tomorrow. Game Informer knows the release and will reveal tomorrow in the digital issue! Game Informer’s trailer above does a fantastic job of hyping up the occasion. We see about a minute of footage from the game. With the majority of it revolving around Spider-Man’s impressive web swinging mechanics. In other words, Insomniac sounds very confident in their game. And that’s great, because fans are expecting greatness here. And the team knows it. 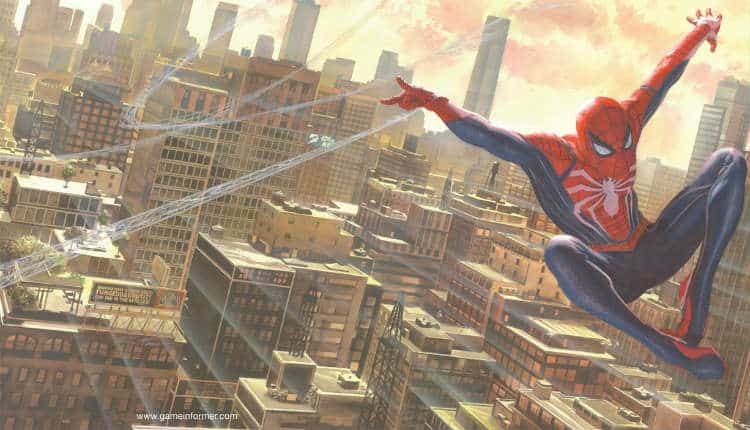 “One of the biggest reasons we at Insomniac connect with Spider-Man and Peter Parker is that they’re both underdogs.” And who doesn’t love rooting for underdogs? With the release date being announced tomorrow, fans are getting excited about a possible release date as early as June or July. We’ll have to wait just another handful of hours to find out for sure. But we’re certainly excited to finally learn when we’ll be taking Spider-Man out for another video game spin.